God Doesn’t Fit in Our Box ! 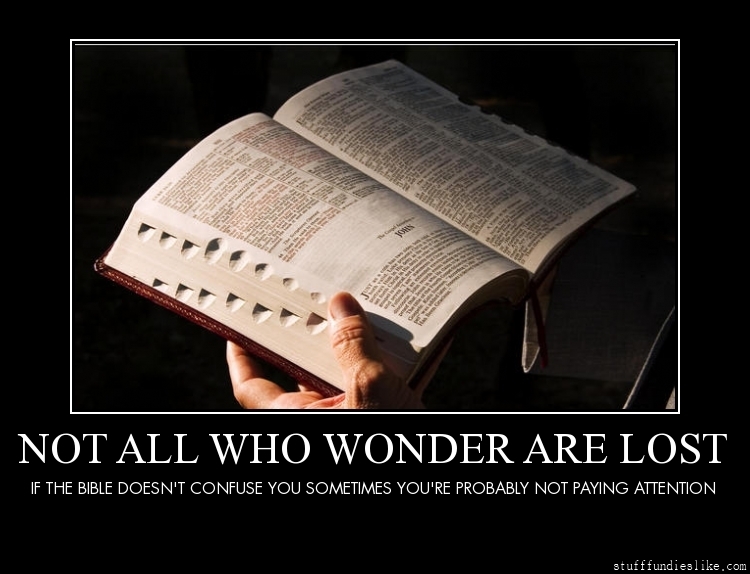 The Bible – There are some things that make no sense to me. Now, granted it may be a me thing for the most part and I’m making more out of it then I need to should be. I often get into conversations about why is it that I can believe there is a God. Some people think that is foolish in believing there is a God that created the world. I guess they would prefer to think they come from monkeys and baboons. I will let them think that if they want to believe that, but to me that is just foolishness on so many levels. Then others that may believe there is a God wants to fit Him into their little box. And that makes no sense to me how God can fit into a box. It seems to me that there are an awful lot of people who want to have God conform to their way of thinking and can justify just about anything. I got thinking about this when I was reading about how two pastors got married and is now divorcing. There are many things going on in and around us that makes me scratch my head and wonder what the heck the problem is. And I guess it is as simple as people conforming to this world and not God’s Will. Maybe not that simple, but it’s the only thing I can think of. Even though there are those who don’t believe in God, so they don’t worry about keeping God in a little box and trying to get Him to do what they want Him to do or to justify their own actions and deeds. Since I am a believer in God and that Christ died for my sins, I just think it is sad that people can’t or won’t know what it is like to be loved unconditionally and to know without a doubt where they would spend eternity. They just believe this life is it and nothing more. So sad! Not conforming to the world isn’t the easiest things to do since we are borne and raised in the world. 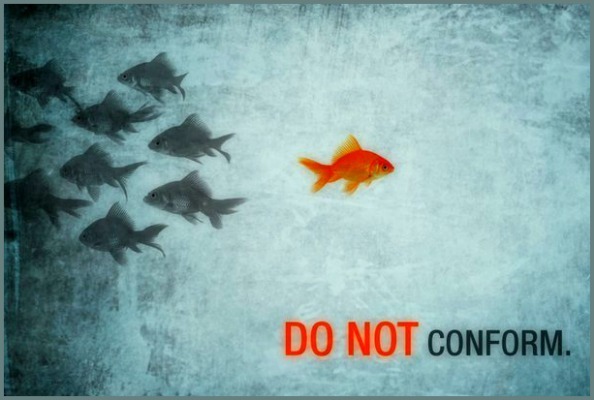 There are pressures from those in the world for us to conform to the ways of the world. I find this difficult to understand when it is Christians and are teaching those in their congregations that everything is OK in the name of Love and unity. I think that is a bunch of hogwash and should not be going on in any church that claims it is a church following Biblical principals. When I get my thoughts going and want to do something, I have to keep myself in check and make sure what my motivation really is. This would be when I have to ask the Holy Spirit and to listen. The Holy Spirit isn’t going to lead us astray. Our hearts and minds can do that on it’s on and I have found for myself at-least, that I can’t trust my heart and mind when it comes to certain things. Plus I know that the Holy Spirit won’t try to stroke my ego so I can have all the warm fuzzy feelings you want to have. More times than not, it tells me what I don’t want to hear or admit to. I also can’t help but wonder what the motivation is when church leaders, pastors, elders, deacons or whoever says or does things so they don’t have to stir the pot. Who are they trying to impress? I don’t think God would be impressed over showy stuff and giving into the ways of the world because they want to increase numbers at church or the bankroll. I’m not exactly sure of what my main point is here with this post. But I do know that God is the only one in control. It isn’t the pastors or church leaders. They are going to be held accountable too and I cringe when I think of how it will be for those who led His sheep astray because they didn’t want to hurt anyone’s feelings. Shoot, they can hurt my feelings if I am doing something I need to change or that is getting in the way of my relationship with Christ. 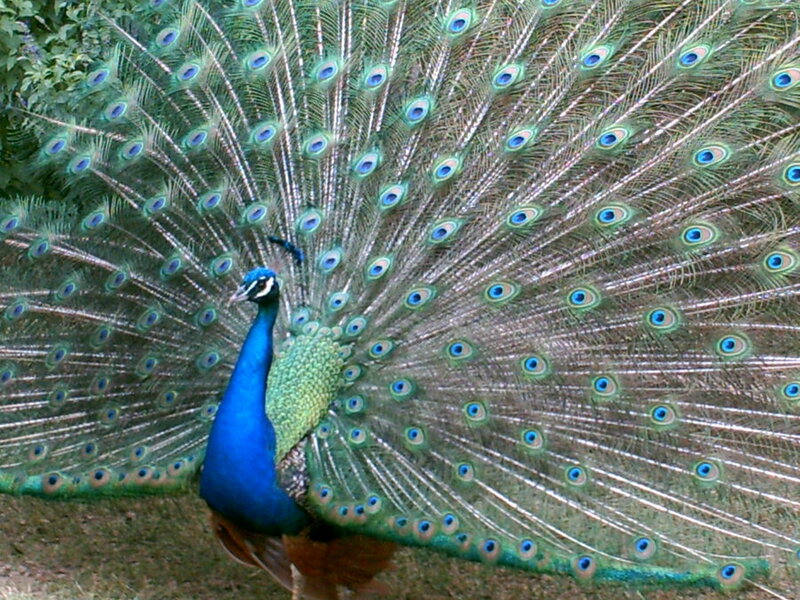 There are some pastors or TV evangelists that reminds me of a peacock. They seem very pretty and they are pleasing to look at. Eventually the noises come out of their mouths and they are loud and annoying. They demand your attention or they get even louder and they strut their stuff for all to see. I’m happy to see that our pastor and past pastors weren’t that way. Well there was one, but he was not the smartest cookie in the jar to say the least. Pastor Ray isn’t about keeping up appearances or having to be the “look at me” kind of peacock. Which I’m very happy over that, because I’m not looking for another church since they are like family to me. God knows what He is doing and more than likely isn’t impressed when we try to manipulate or want him to do things our way. God is the only God and when we are told in the Ten Commandments that we aren’t to worship any other god before Him, I think I will not do that. He is a loving God, but one that doesn’t like to be told to do things because we want Him to. I do want to leave this final thought. In the beginning I said how the Bible confuses me at times. Well a lot of times. I also know that even if I don’t understand everything in it, God does. Some things aren’t things I need to believe. I just have to have faith and know that it is what it is. I’m pretty sure that when I am dead to this world and with God, those things won’t matter anyhow. I will be in His presence, so there is no need to know about dinosaurs, time and all that other stuff. Previous Why Did Jesus Have to Die? Next It’s Time to Do Something!